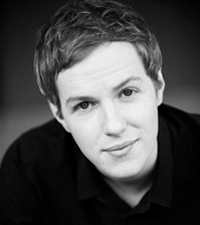 Shaun Kohlman began his studies at the Queensland Young Conservatorium of Music in 2006, going on to study at Griffith University and Harvest Rain Theatre Company, completing a 2-year Musical Theatre Internship in 2010. He has performed in a myriad of musicals, most notably THE WIZARD OF OZ (Scarecrow), JESUS CHRIST SUPERSTAR (Simon Zealotes, Jesus U/S, Judas Replacement) and GREASE (Doody), all on the Playhouse stage, QPAC. Shaun has worked extensively as a vocal and acting coach for numerous companies throughout Brisbane and is incredibly passionate about youth arts in South East Queensland.